3-Sum Eats – San Francisco, CA (@3sumeats) – Food Truck Talk – Searching for the best foodtrucks! 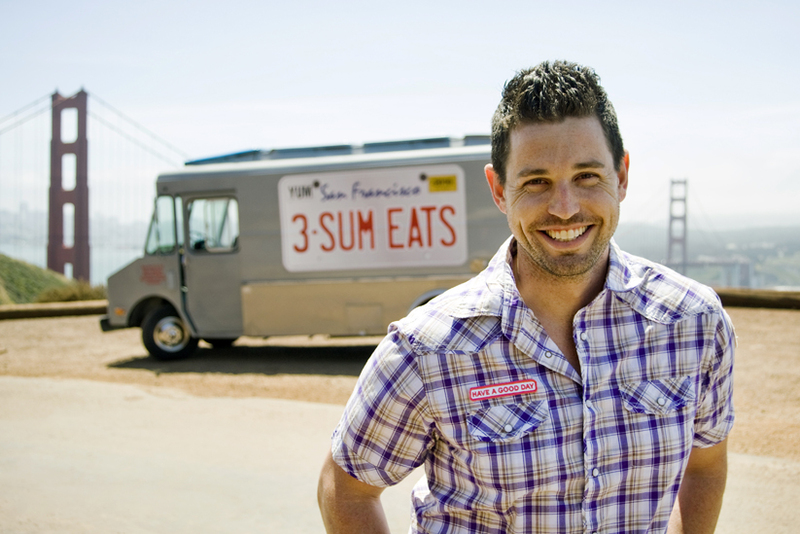 3-Sum Eats is a truck rolling in San Francisco brought to you by a familiar face. Besides working at some of the nation’s finest restaurants Ryan Scott was also a contestant on Bravo TV’s “Top Chef”. We see more and more food trucks launching with established brands and/or chefs and like Ryan Scott they offer very creative menus. 3-Sum Eats food truck tagline is “Get Sauced, Tossed & Sandwiched” and each day they serve up menu items that live up to the billing. In the sandwich category there is the “Piggy”, slow roasted pork, poblano aioli, apple cole slaw on cheddar jalapeno bread, “Where’s the Beef”, roast beef, crispy shallots, horseradish, fontina cheese on a potato bun, and the “Veg-Head”, a mushroom burger with munster cheese, lettuce, tomato and Ryan’s special thousand island dressing. Side dishes include a Carrot & Ginger soup with mint apple raita and Gnocchi Tator Tots with dirty ranch dressing. A pickled beets & Asian pear salad is offered with haricot vert, hazelnuts and blue cheese. Those of you that like to start your meal with dessert will certainly be tempted by the “Kitchen Sink Cookie” made with potato chips, four barrel coffee, and butterscotch chips, the “Peanut Butter Pie” with chocolate pretzel crust, and the Burnt Marshmallow & Nutella Shake! That’s a lot of creative food! 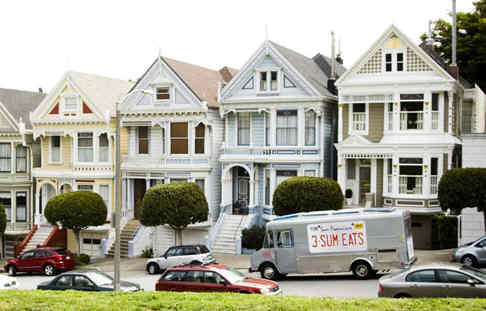 Ryan Scott’s 3-Sum Eats will definitely be a food truck searched out by those in San Francisco looking for top food from one of the area’s top chefs.